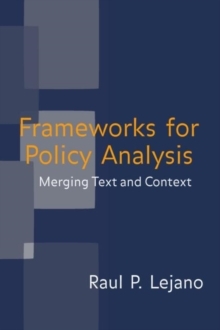 Frameworks for Policy Analysis argues that, in order to bring relevance back to policy analysis, we need to approach policy situations as complex phenomena and employ multiple ways of looking at things in order to understand the essential elements of each policy case. The book is an exploration of distinct, sometimes radically different, models for analysis, but it is also a reference for these multiple methodologies that all come under the term "analysis." Along with classic and recent models, the book introduces some new concepts that serve to deepen our analysis and aspire to what Geertz calls "thick description." 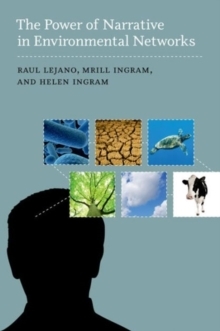 This text, written for advanced courses in policy analysis, is an answer to the critical gap between the complexity and dimensionality of policy situations and the abstract and formal character of policy analysis, in general. The book begins by introducing the reader to dominant models of analysis, pointing out their limitations and the potential for transcending these limits. It also introduces new analytical approaches that help to merge text and context, increasing the dimensionality and authenticity of the analysis.